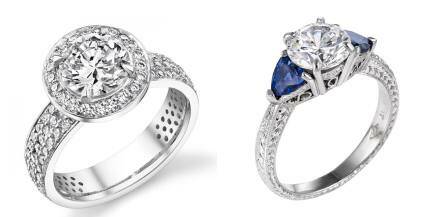 Philip Press Master Platinumsmiths is renowned for its platinum jewelry designs and expertise.. Philip Press and its master craftsmen design and make each piece by hand, using its own high-grade proprietary 950 platinum alloy and the finest gemstones. The company specializes in one-of-a-kind platinum engagement rings and wedding bands, as well as elegant diamond and gemstone bracelets, necklaces and earrings. Philip Press Master Platinumsmiths features two unique lines: the vintage-style Renaissance Platinum line incorporating fine hand engraving and milgrain, hand-drawn filigree, and intricate pavé reminiscent of the Art Deco era. The new classic contemporary collection, Platinum Au Courant, features clean, modern lines, symmetry, balance, as well as micropavé and other current design elements in a high-polish finish.